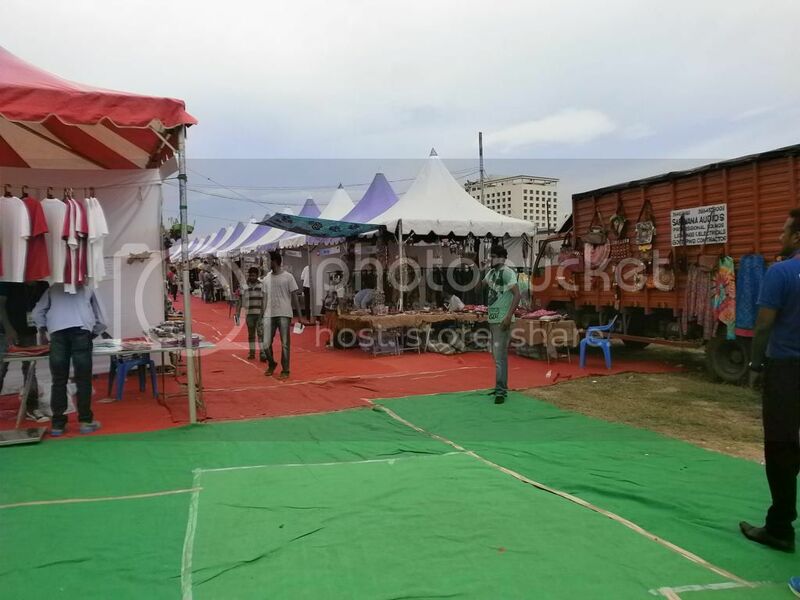 Madras Market is a bi-annual expo in Chennai. 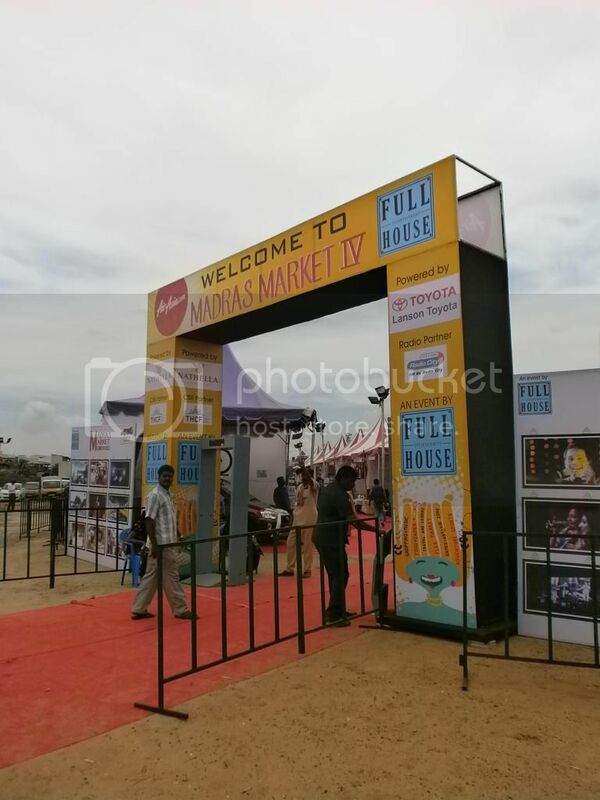 I went to the fourth edition of Madras Market held today at YMCA grounds, Old Mahabalipuram Road (OMR), Chennai. The location is near SRP tools, after TIDEL park and NIFT campuses on OMR. The entry fees for this event is Rs. 50/- and there is ample parking space. A variety of stalls have been put up here by organizations & artists across India. I found many shops focused on (but not restricted to) men’s/women’s clothing, home decor & art. 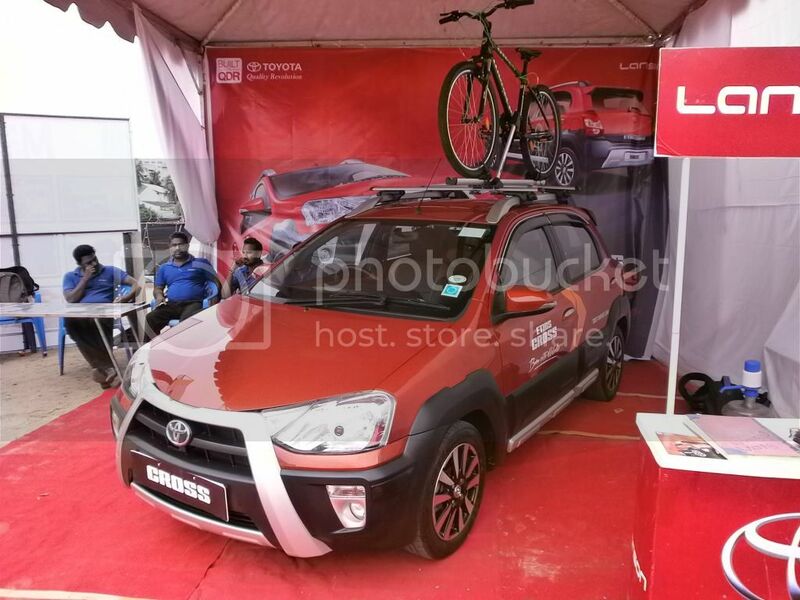 There were eateries, workshop area, music fest & kids adventure areas too. This post, however, is about some unique and interesting products/services I spotted in this market. 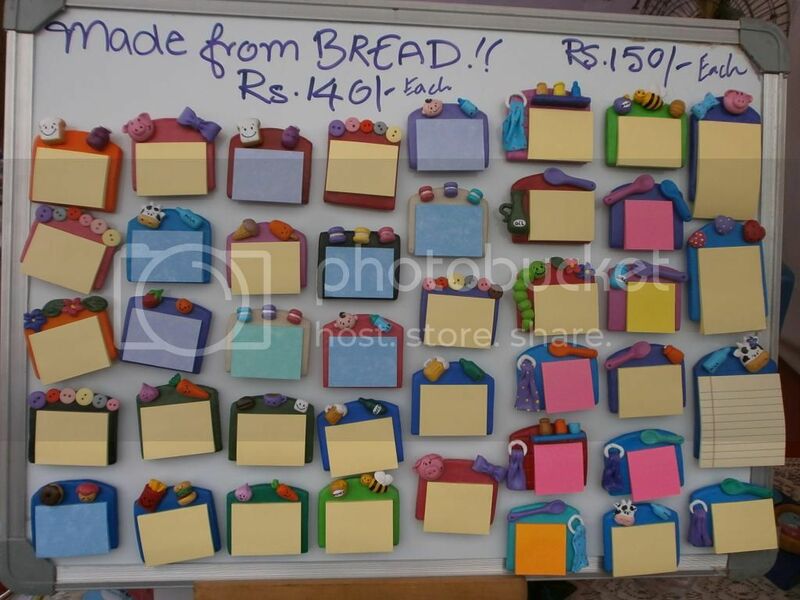 These may look like decorative fridge magnets, but guess what they’ve been made of – Bread!! Of course, bread has been sufficiently hardened. They also sell jar lids, photo frames, etc. all made of bread. Have a look at Pink Feather Facebook page to see some photos of their creations. 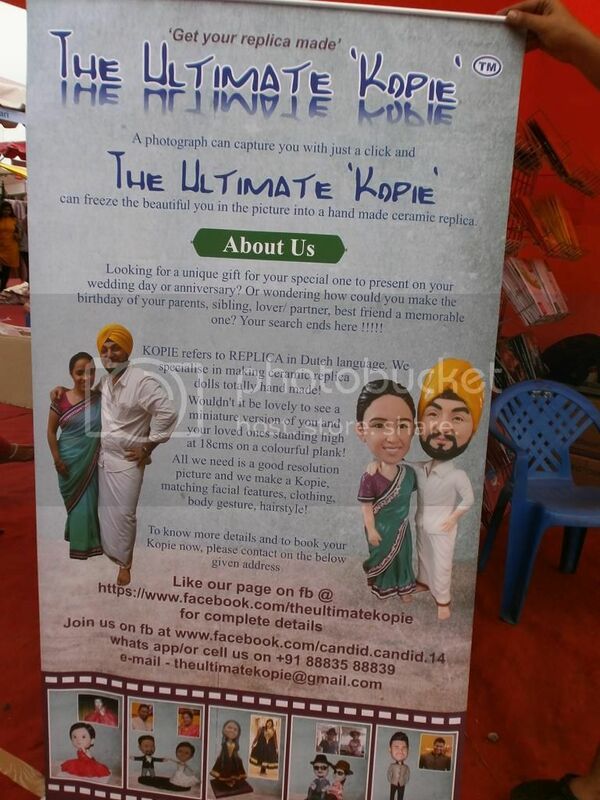 The Ultimate Kopie is an interesting venture that makes custom hand-made ceramic replica dolls of people from their photos, which they can send. They ship across the world. Have a look at their Facebook page to see some of their recent creations. A fellow Blogger and member of CBC, Bhushavali, had put up her stall too. As the board says, she is trying to make Khadi fashionable! She sells a variety of ethnic wear for women and men at her online portal. Go check out! 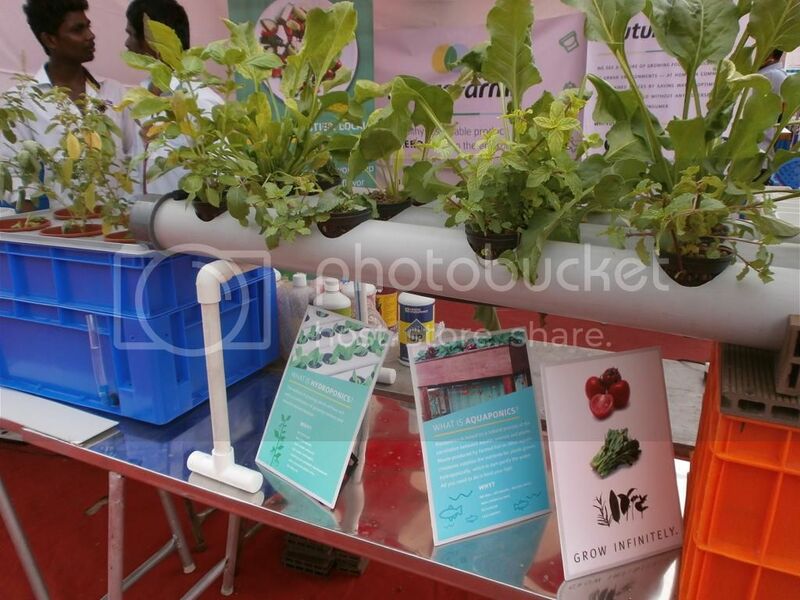 Future Farms sells gardens for urban spaces utilizing techniques like aquaponics and hydroponics (growing soil-less gardens using garden automation in urban spaces). 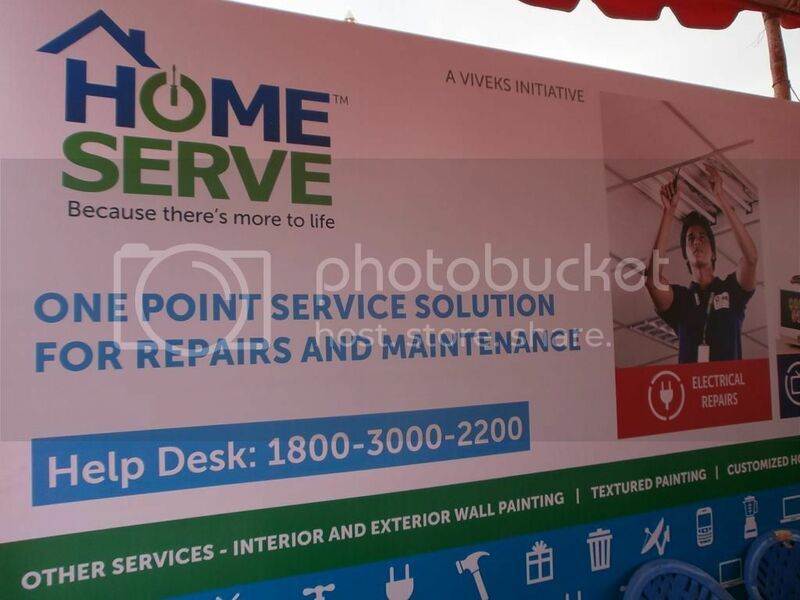 Home Serve is a much needed service that offers repairs and maintenance for a range of customer requirements including plumbing, electrical, carpentry, home appliances, etc. They send people on-call and they have yearly plans. Check their website if you want to get any work done at your home but not getting the right workmen. 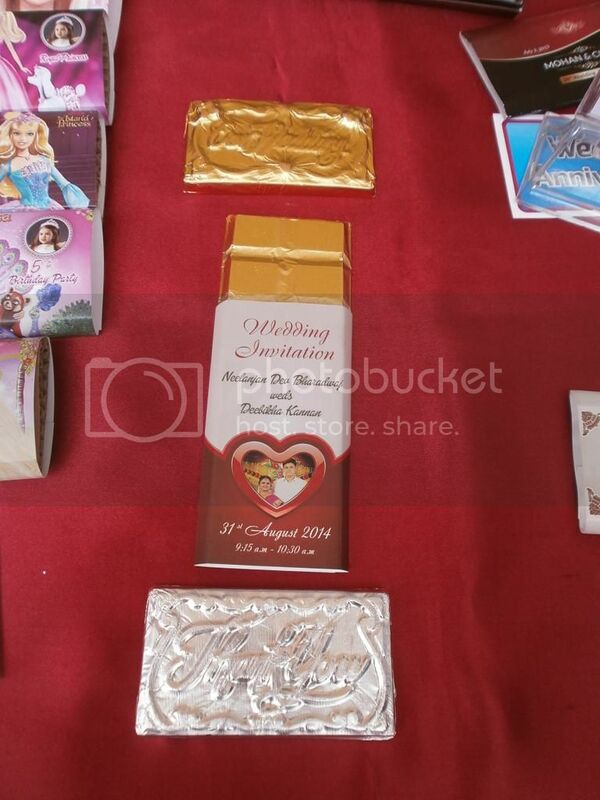 Chocolate Boy is an interesting service that makes custom chocolate wrappers for events like weddings, birthdays, etc. Of course, they also make chocolates! If you need (at least) 30 chocolates with custom wrappers in Chennai, you can contact them via their website. 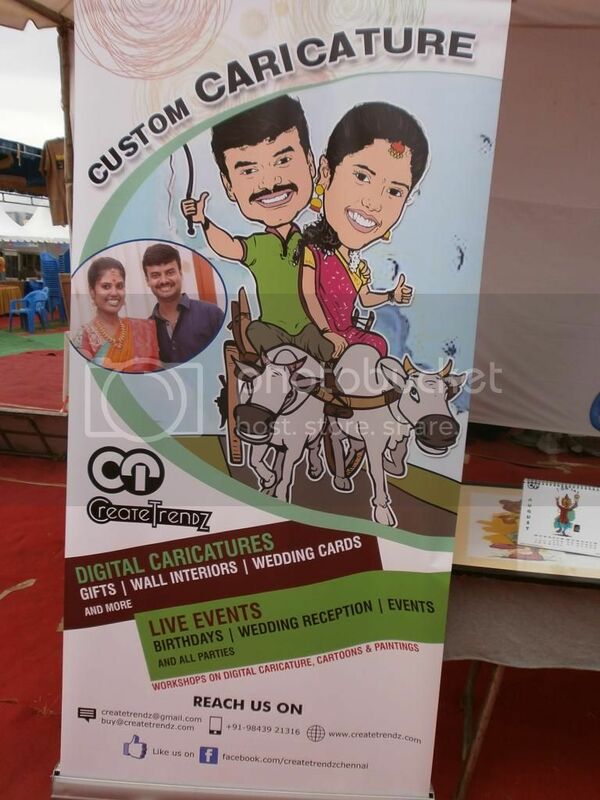 CreateTrendz makes custom caricatures (cartoons) based on your photos that you send them. It just costs Rs. 300 for a single caricature of your face and Rs. 500 for full body. So, it’s time for you to become a cartoon! Check their services here. 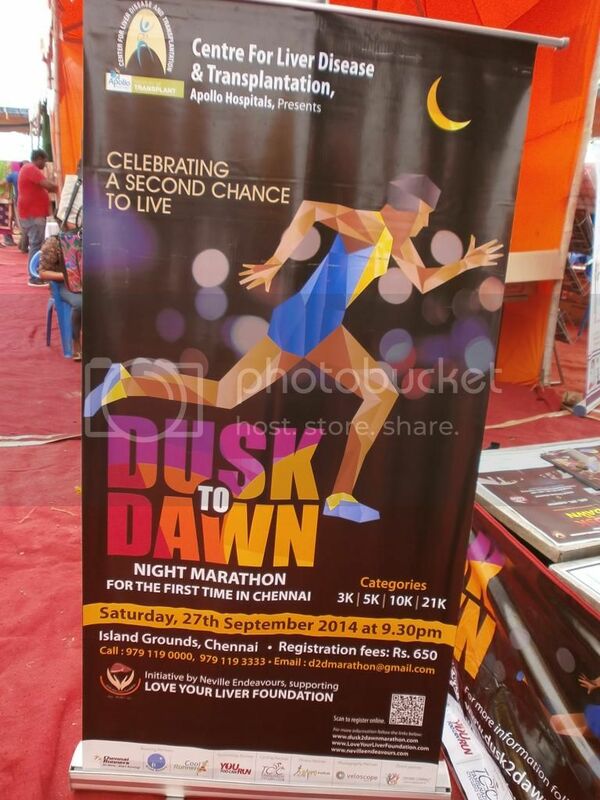 Love your Liver Foundation is organizing the first night marathon in chennai on Saturday, 27th September ’14 from island grounds. They are conducting 3k, 5k, 10k and 21k marathon races. If you are a runner, check it out: All Info here. I am glad you had a great day visiting this expo. Thanks for sharing these photos. Except the last I loved all the details you have given here. They are really unique and useful. Thank you. We might go there tomorrow. Last year we had one goli soda for Rs.40/- at Madras Market! Went there today. I was not that impressed. Had Rocket soda for Rs.40 again, this year! So howz this rocket soda? You liked that? This is unique! There is so much to learn for the children. Nice pictures. Obviously, very interesting, unique and creative fair! 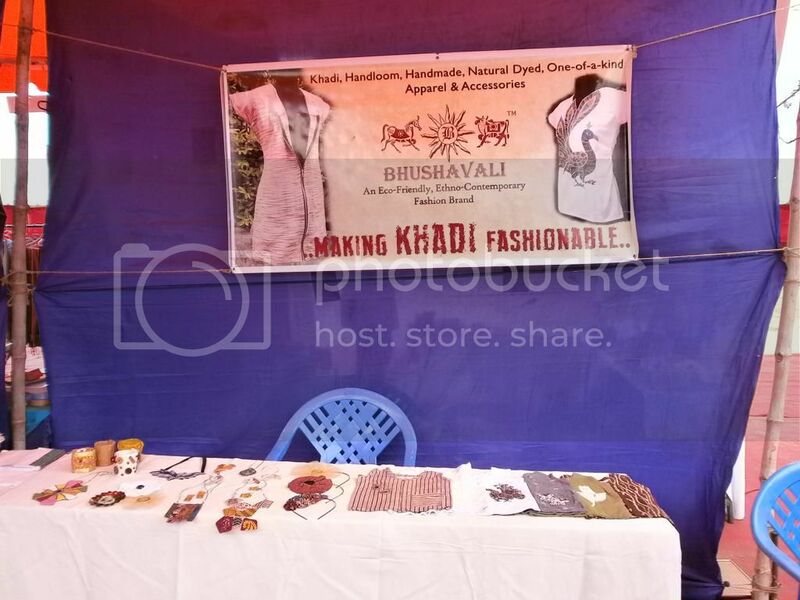 I liked the Kapie and concept with bread… great effort by Bhushavali on taking forward the Khadi dress. The home serve is only that I know before. Wish I was there also, but my situation can’t make it possible now. In pic #3, what do they mean by “Made from bread”? Sounds like an interesting expo. They are made from edible bread that we eat. But the bread is treated and hardened so that the objects don’t break easily. Thanks for posted our personalized chocolate wrapper products.